The A&G Real Estate Agency aims to become a reference point for all the “people” and/or companies that wish to buy and/or sell different types of properties which require the maximum privacy and professional engagement. After 20 years of experience in this field, Mr Ercoli Gildo, Professional Estate Agent as well as Provincial President of the FIAIP (Italian Ferderation of Professional Estate Agents)and President of the Real Estate Group “M.I.A” . (Associated Real Estate Market) , with its agency which he has realized and strongly wanted, works and develops his business in one of the nicest area of le Marche . He decided to specialize in the sale and purchase of properties destined to very exigent Italian and foreigner customers. Gildo Ercoli is really passionate about his work and he doesn’t consider it simply a ” job” and treats every single “property” as the only and exclusive one. It is for this reason that the A&G Real Estate Agency and its staff have been qualifing to give full assistance to their customers when choosing the property and to make their dream come true. 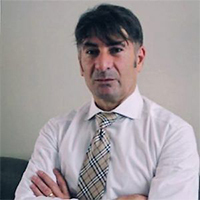 Furthermore Mr Gildo Ercoli has combined his professional experiences with those of high qualified and skilled people in order to help investors in the real estate market. Not being completely satisfied, Mr Gildo Ercoli , with the help of other collegues, has created the group MIA (Associated Real Estate Market) consisting of more than 20 professional real estate agencies that cover the whole Marche. It will help buyers to find apartments, farmhouses, business, villas and whatever else they seek to satisfy the pleasure to live in the Magic lands of le Marche. All this because we feel that distinguishing means having the chance and the professionalism to satisfy more clients maintining a high strandard level. This is our agency, our job, our mission that we love and that we will be happy to offer to all our customers.